Visitors with an interest in the myriad, fascinating traditions in Chinese culture may find an abundance of classes in Hong Kong that provide an inside view of the artistic and scientific heritage of this beautiful country. Throughout China’s recorded history—which spans thousands of years—Chinese art, design, medicine and a host of other disciplines have given birth to ideas that spread throughout the world. Choosing a single aspect of Chinese culture on which to focus may be the biggest challenge. 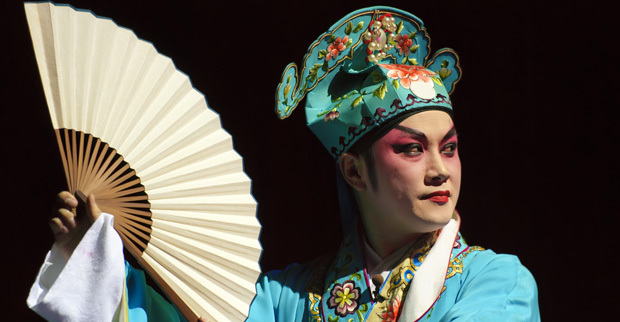 Opera enthusiasts, history buffs, fans of costume design and those with a flair for the dramatic will all enjoy the Cantonese Opera Appreciation class, held weekly and free with admission to the Hong Kong Heritage Museum. Guides at the museum take visitors on a journey through an ancient art form blending legend, music, and spectacle. Highlights of the class include a live performance by a local opera troupe. One needs no particular expertise to recognise the magnificence of a Ming vase, but to learn about the craftsmanship and history of these ancient ceramics is to gain a deeper appreciation of the art form and the ever-soaring value of its finest examples. Collectors of fine Chinese ceramics should consider attending the Antiques Appreciation class at Chak’s Company Limited, led weekly by an expert dealer with 30-plus years in the field. The importance of traditional healing remedies—some dating back more than 5,000 years—to Chinese culture cannot be overstated. For a firsthand experience with a traditional Chinese approach to wellbeing, consider enrolling in a class led once a week by former chief pharmacist of the Hong Kong Department of Health, Kwing Yee Li. He explains—among other things—the applications of some widely used herbal medicines and how many of them relate to contemporary treatments in use today. Or consider studying the ancient custom of feng shui—the practice of positioning objects and structures in harmony with nature so as to increase wellbeing and good fortune. For more than two decades, Alex Yu, proprietor of Alex Yu Geomancy & Physiognomy, has given thousands of students an introduction to this ancient Chinese discipline and its respect for the environment. His classes are offered weekly in Kowloon.